The club was founded in 1897 and is the 4th oldest club in Wales. It has met continuously since its inception, regularly meeting throughout both World Wars. Pre WW1 the club played matches as they could be arranged against clubs from Llandudno, Wrexham, Bangor, Abergele and Rhyl. 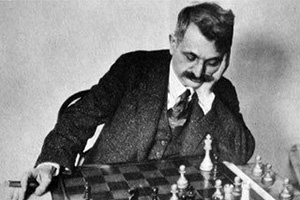 On 23rd March 1908, players from Colwyn Bay, Llandudno, Rhyl, Abergele and Shrewbury played in a simultaneous display at the café against the reigning World Champion, Dr. Emmanual Lasker. The World Champion won 17 games and drew 2. In 1908 the North Wales Chess Association was inaugurated. The Hon. Sec. of Colwyn Bay Chess Club, at the time the biggest club in North Wales, had been the driving force behind the setup. In 1910 the Chambers Challenge Cup was inaugurated, a Knockout originally featuring Bangor, Wrexham, Ruabon, Llandudno, Rhyl and Colwyn Bay. On 22nd October 1910, Isidor Gunsberg gave a simultaneous display against the club members, winning on all 11 boards. In the late 1880s and early 1890s Gunsberg was one of the top players in the world, narrowly losing an 1891 World Championship Match 4+ 6- 9= to Wilhelm Steinitz. No matches were played during the war and the club lost some of its strength. Post WW1 matches were played just locally against Llandudno, Penmaenmawr and Rydal School - once over 20 boards! It wasn't until 1922 that the Chambers Challenge Cup was restarted. Internally the club held Knockout, Ladder, Handicap and Club Competitions. Consultation matches were played and a loan library was started. On Feb 9th 1922 the new Silver King Trophy - donated by the Club President Lord Colwyn, was exhibited at the club. It was valued at £10 (approx. £500 today). In 1926 Colwyn Bay won the North Wales Challenge Cup for the first time. The club moved to Amblers Café on Penrhyn Road for 3 years before returning to the Café Royal in 1930. 3 years later the club moved up the road to Gartmells Restaurant. During this period the club membership declined sharply from 40! in 1928, to an all time low of 8 members due to deaths and the war. Few matches were played. In 1941 the Club beat the Ministry of Food in a match, while in 1942 they drew a match against the Prestatyn Signallers. In the immediate aftermath of the war membership increased sharply and friendly matches were played against Llandudno, Bangor, Abergele, Penmaenmawr, Crossville, Flint, Rhyl and the newly formed Penrhyn Bay Club. In 1949 the North Wales Chess Association was reformed. In 1950 Colwyn Bay beat Llandudno, Bangor and Flint to lift the N.W.C.A. Trophy. The trophy was retained the following year, beating Llandudno in the final. In 1951 the club moved to Lowes Café on Station Road. In 1953 the club entered the National Club Competition for the first time, putting up a good show before losing to a strong Liverpool side in the first round. The following year victory over Newcombe was followed by a loss to Wakefield in round 2. The club suffered 1st round losses to Liverpool in 1955, 1958 and 1960 and to Manchester in 1956 and 1959. 1st round successes against Blackburn in 1957 and Warrington in 1961 were followed by losses in round 2 to Manchester, while a 1st round win in 1962 over Capenhurst, came before a loss to Blackpool. During this period the club also played friendly matches against Rydal and John Bright's School, Bangor University and Chester YMCA. In 1959 the club started to compete in the Cheshire Cup. In 1959, 1960 and 1963 the club lost to Stockport. The only success came in 1962 with a 1st round win over Capenhurst, before losing to Wallasey. In 1960 Colwyn Bay were the only chess club in existence in North Wales. In 1962 a new North Wales Chess League was formed with Deeside, De Havilland, Mold and Wrexham. Colwyn Bay had a great season in 1963/64. Liverpool were beaten in the 1st round of the National Club Championship, before the inevitable 2nd round loss to Manchester. Wins followed against Mold and Wrexham in the North Wales League, along with a draw against Deeside. Friendly wins were also achieved against Caernarfon, Bangor, Rydal and Chester. In 1964 Colwyn Bay moved to the Colwyn Bay Hotel. They were the unofficial North Wales champions after beating Bangor University, while they lost to Cardiff in the final of the Welsh cup, playing the match by telephone. The club suffered a drop in numbers from 1965, losing several members including the club captain Dr Kraus to the newly reformed Rhyl chess Club. In 1967 the club lost to Manchester University in the Cheshire Cup. During 1967, Svetozar Gligoric, ranked 12 in the World at the time, gave a 30 board simultaneous display at Chester YMCA. Brendan Shields, a member of Colwyn Bay since he was a schoolboy, was one of the players involved and is seated 2nd from the right in this picture. Brendan was one of only four players who managed a draw - the rest all lost. Brendan, who was 21 at the time, said: “My last train from Chester home to Penmaenmawr was due very soon so I had to 'be a bit cheeky and offer a draw, not for a minute expecting him to accept. Although my position was quite good I was amazed when he accepted, especially as the number of players left was decreasing quickly! I just about caught the last train from Chester but it only went as far as Llandudno Junction, so I set off to walk to Penmaenmawr. Fortunately, my father picked me up at Conwy Morfa. Anyway it was worth the walk!” Standing behind Brendan in the picture is Dr E.B. Kraus, a former Colwyn Bay captain who went on to join Rhyl C.C. He also managed a draw. In 1968 FM Peter Clarke, a Correspondence Grandmaster, England International and 5 times British Championship runner up, gave a 13 board simul, winning all his games. The club lost to a very strong Liverpool side in the national club championship, while in the Cheshire Cup they beat Hawker Siddley before losing to East Cheshire. !n 1969 the club moved to the Liberal Association on Princes Drive. With few members, no matches or internal competitions were played for 3 years. In the 1970 National club championship the club understandably forfeited against Glasgow! In 1974 the Club moved to St Pauls Institute in Rhiw Road and played matches against Bangor and Tregarth. The following years were quiet in terms of activity, but regular matches were played against Rhyl and Colwyn High School. In 1979 the Club moved to the Prince Madoc Hotel on Station Road. The following year they moved again to the Queens Hotel in Old Colwyn. In 1980 Welsh Champion Howard Williams gave a simultaneous display winning 18 games and drawing 2. Matches were played against Rhyl, Rydal, Eirias School and Great Lever. 1981 saw the club move back to the Prince Madoc Hotel. The club entered the North Wales Tournament in the 1983-84 season, beating Rhyl, but losing to Bangor, East Clwyd and Wrexham. Don Grayson won his 10th Club Championship title, in 11 years. Once rated as high as 195 B.C.F, Don was perhaps the strongest player in the clubs history, playing many years for the club before losing a game. Colwyn Bay finally joined the Chester and District League for the 1984-85 season, entering in Division 2. They won the division and promotion with a 12+ 2= 2- record. In the K.O. they lost 7.5-0.5 to Wrexham, showing the challenge that awaited them next season in division 1. In 1985 the club moved to the Green Lawns Hotel in Bay View Road. The club found it tough in Division 1 3+ 3= 12-, but did beat Wrexham 4-3 away. 1986 saw a 2nd team entered in Division 3 of the league. 1987 saw the present venue being unavailable. 2 new venues were found, one in Rhos-on-Sea and the second in Llandudno. After the resulting vote went in favour of the Rhos-on-Sea venue, 4/5 of the committee left to form Llandudno Chess club. The club moved to St Mary's School in Rhos-on-Sea. In 1988 the club moved to the Norfolk House Hotel on Princes Drive. 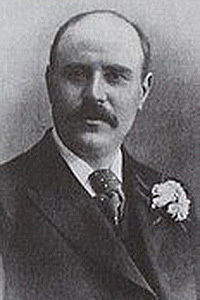 Club President Ralph Stokes was elected President of the Chester and District league. The team finished 2nd in Division 2 and accepted promotion. In 1989 the club entered The North Wales Cup, losing to eventual winners Wrexham, and also fielded a team in the Gwynedd league. The team finished last in Division 1 of the of the Chester & District league and were relegated. 1990 saw a 2nd team entered in the 4th division, finishing 2nd. They repeated the result for the next 2 seasons. 1991 saw the relegation of the 1st team to Division 3. They won promotion the following year only to be relegated again in 1993. 1996 saw the dropping of the 1st team. The old 2nd team won Division 4. In 2001 the Club moved to the Hopeside Hotel and the chess teams revival began with promotion from Division 3, with a 12+ 1= 1- record. The club also reached the K.O. final, losing to perennial winners Wrexham. 2002 saw the club again reach the K.O final, this time losing to Caergwrle. The team avoided relegation by winning their final match against Rhyl, a result which saw Rhyl relegated instead. 2003 saw a return to Division 1 after a 13 year absence. A victory in the K.O. over Rhyl, was followed by a Semi-Final loss to Wrexham. 2004 saw relegation again. Rhyl were once again defeated in the K.O., before a loss to Caergwrle. 2005 saw the club move to The Sea Sports and Social Club in Rhos-on-Sea. The reduced rent meant that for the first time in its history the club could meet through the Summer. The team easily won promotion with a 9+ 1= 1- record. The K.O. produced another first round win, this time over Buckley, before suffering another defeat to Wrexham. 2006 saw the remerging of the Llandudno and Colwyn Bay clubs. Colwyn Bay were relegated again, but Llandudno were promoted from Division 2 after being relegated the previous year. This meant combined Colwyn Bay/Llandudno sides in both the 1st and 2nd divisions of the league for the following season. 2007 saw the combined club finish 3rd in Division 1 for the first time, with the 2nd team matching the result in Division 2. 2008 saw the 1st team finish in 5th place, but only 1/2 a point away from 2nd. The 2nd team escaped relegation on game points. In both 2009 and 2010 the club again finished 3rd in Division 1. The 2nd team finished 2nd and then 4th in Division 2. 2011 was the most successful year for the club since joining the league. The 1st team finished runners up in Division 1, while the 2nd team won the Division 2 title. 2012 saw the 1st team finish 4th in Division 1. They were joined for the season by Colwyn Bay 2, who had accepted promotion. 2013 saw both teams finish 3rd in their respective divisions. 2014 saw the formation of a 3rd Team and therefore a presence in all 3 divisions of the league. The 3rd team won the Division 3 title, with the 1st and 2nd teams finishing 4th and 6th respectively in Divisions 1 and 2. Colwyn Bay won the inaugural U145 Bill Davies Cup beating Frodsham in the final.